This Alea North America Health Insurance Company review will focus on Catalina Holdings, headquartered out of Bermuda. Catalina Holdings has purchased what was previously known as Alea North America Health Insurance Company. If you are in need for health insurance, it is a smart idea to shop around for the best plan and price. Get free health insurance quotes – enter your zip code now! Alea North America Health Insurance was purchased by Catalina Holdings in October 2009. Catalina Holdings handles non-life insurance and reinsurance companies. They also manage run-off portfolios such as Alea North America Health Insurance. Catalina Holdings does not offer products to the consumer or businesses. Catalina Holdings buys portfolios that are in a run-off status. This takes the company they purchase the portfolio from out of liability and frees up capital. Catalina Holdings does not work directly with customers. They assist insurance and reinsurance companies by purchasing run-off portfolios. The main office is located in Bermuda. There are also offices in New York and London. The website for Catalina Holdings includes contact numbers for the important people in the company and the offices. 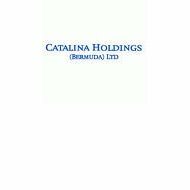 Catalina Holdings is not rated through AM Best as the company is not headquartered in the United States. The company does not provide products directly to consumers. For this reason there are no reviews available, and no reviews are necessary. If you are interested in a health insurance plan, you will want to shop around to find the best options available for your specific circumstances. Consider how many people will be on your policy and any medical conditions that need to be covered. If your employer does not provide insurance, buying individual insurance separately can be costly. You will want to consult with a professional for more information regarding what you need for health insurance coverage. Check with several health insurance companies to see what differences there are for premiums, deductibles and coverage. If anybody on your policy has a condition that requires medication, be sure to check what pharmacies are covered under the plan. Shopping around will give you the opportunity to find the best rate for your health insurance coverage. Start your search now by entering your zip code in the free health insurance quote finder!